This ring was made from 4 rings which fitted together precisely. An inner ring made to fit the finger would hold together the 2 white gold and 1 rose/ red gold rings. 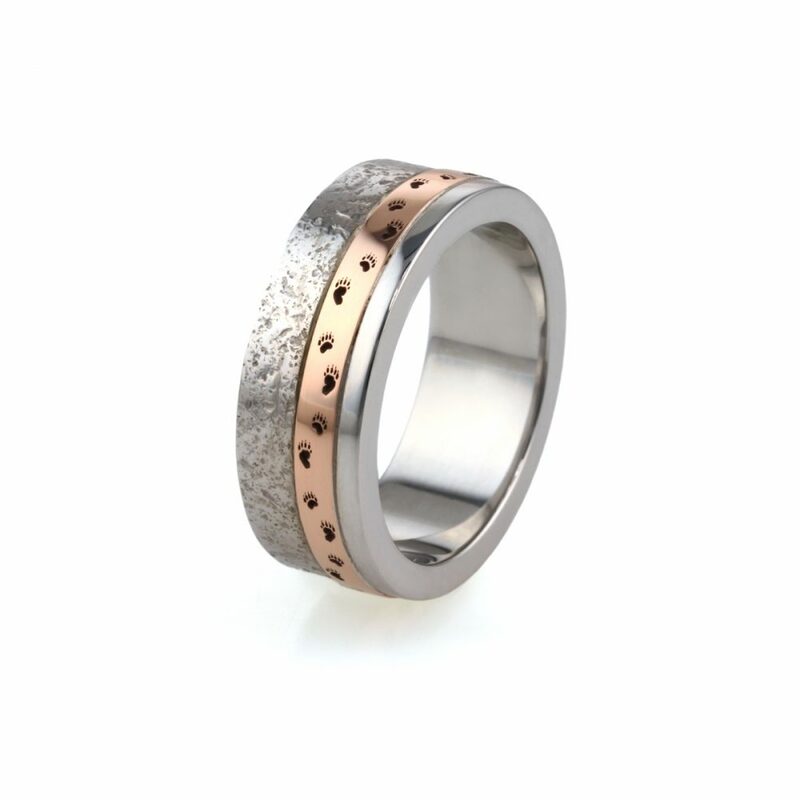 The textured ring was the second ring to be made, beaten on a patio stone to give this random texture and the carefully soldered onto the inner ring. 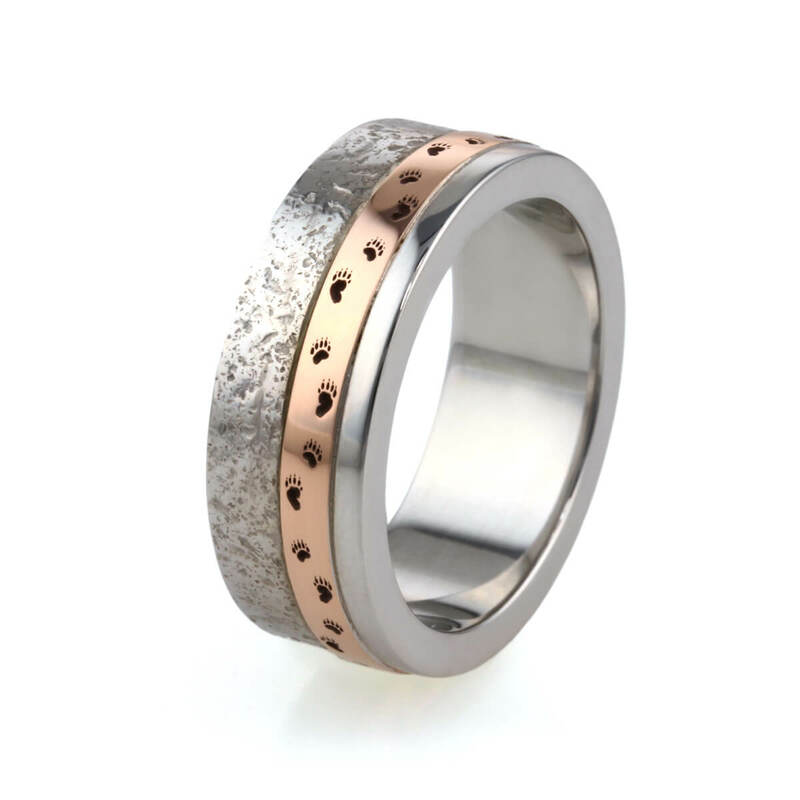 The red/ rose gold ring was the 3 ring to be made and soldered onto the inner white gold ring. The fine white gold band was the 4th ring to be made and soldered on to complete this chunky band. At this stage, I was able to laser engrave the paw prints and carefully polish each section. This wedding ring was a joy to create! Based on a nickname, a bear print theme was decided on. Laser engraving paw prints to appear to be walking around the ring was certainly a memorable ring. Not wanting a polished finished ring either I trialed different textures and decided upon a patio stone beaten finish.